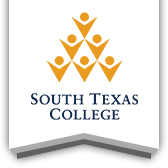 Counseling and Student Disability Services reflects South Texas College’s commitment to provide access to higher education and support the educational goals of students from diverse backgrounds. The staff at Counseling and Student Disability Services helps achieve academic success through the following services: academic counseling, career and mental health counseling, services for students with disabilities, and assistance to vulnerable populations. Counseling and Student Disability Services offers students and the campus community a variety of services. Most services are pre-paid through your student service fee. These services are offered in a confidential atmosphere where the student may discuss concerns that are important to their educational and personal success. Counselors are available during the day on a walk-in basis or by appointment; however, appointments are preferred. Services for evening hours are by appointment only. Counselors are available at the Pecan Campus, Nursing and Allied Health Campus, Technology Campus, Mid-Valley Campus, and Starr County Campus locations. Get exposure to and review history vocabulary and practice interpreting history topic videos. For more information, please call (956) 872-2173.